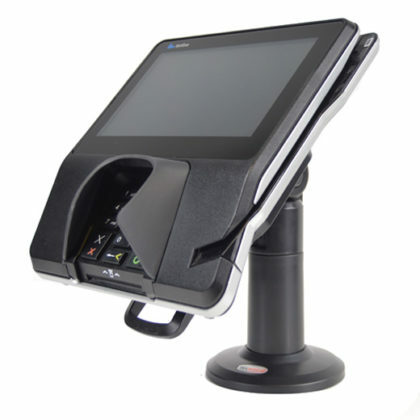 The FlexiPole FirstBase Complete stand sits at 18cm high with bespoke back plate for the Verifone P200/400 payment devices. Securely and invisibly holds the device in place. 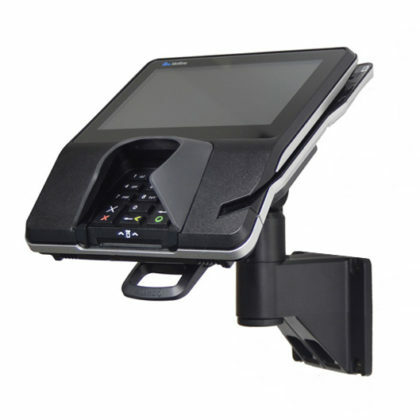 The FirstBase Complete stand allows a tilt of 140° and a swivel range of 330° and is fitted with a unique latching mechanism that holds your device securely in place. 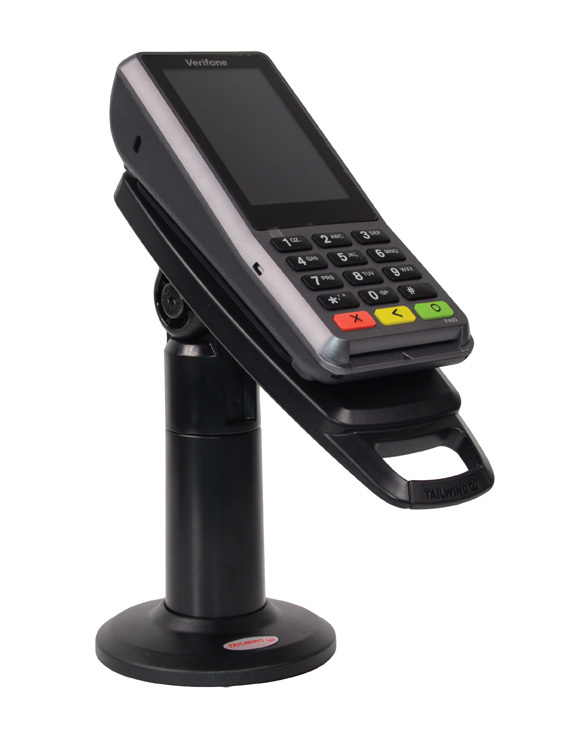 The FlexiPole FirstBase Complete stand sits at 18cm high with bespoke back plate for the Verifone Mx915/925 payment devices. Securely and invisibly holds the device in place. The FirstBase Complete stand allows a tilt of 140° and a swivel range of 330° and is fitted with a unique latching mechanism that holds your device securely in place.